The best furniture has a functionality that blends with its beauty. I work to achieve this by incorporating the function into the design. 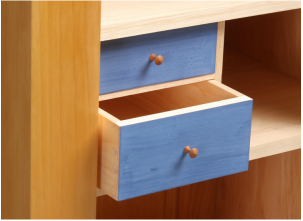 Drawers can be arranged to create a pleasing geometric pattern, while the color of a pull can mediate between pale drawer fronts and the darker case that holds them. Of course, the drawer must do its job effortlessly, too. It should open and close so well that you don't even notice. That's the trick: To have everything work perfectly so that all you notice is the beauty. 15.25 in. x 22.5 in. by 51.75 in. This cupboard is my interpretation of a Shaker classic that was made in Enfield, CT. Like the original, mine is Eastern white pine, but I've made the door wider, so that it's easier to access the interior shelves. The cherry pins in the door frame—and the cherry pull—are mine, too. The exterior is finished in shellac, but the interior was left unfinished—the stark white of the pine helping the blue milk paint drawer fronts pop all the more. The original cupboard did not have drawers. I added those to improve the storage possibilities. (The cupboard was made to house sewing materials.) 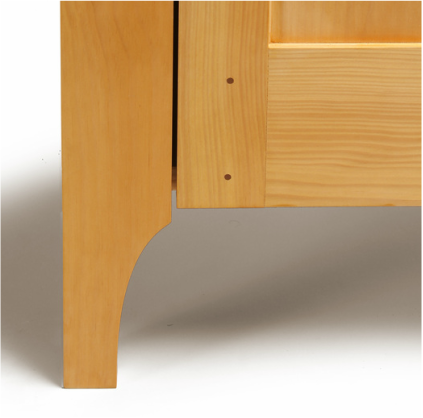 Like most Shaker furniture, the piece mixes a homely warmth with clean, timeless lines. Although the original cupboard does not have interior drawers, these two small ones are in keeping with Shaker design. So, too, is the blue milk paint. 7 in. x 15 in. x 12 in. 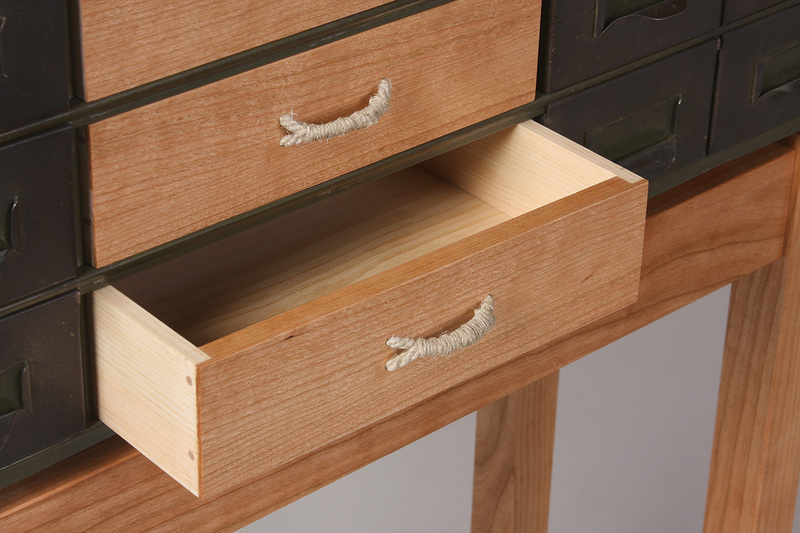 Designed for a growing jewelry collection, this small chest has a cherry case, madrone veneers on the drawers and doors, and reclaimed spruce drawer fronts. The pulls are apple. 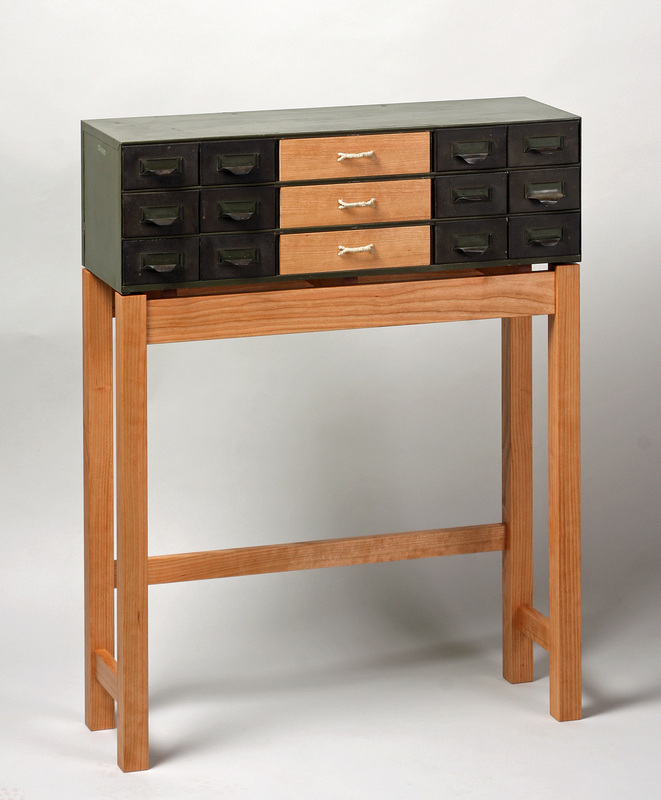 It was inspired by several Shaker chests of drawers. However, rather than use a symmetrical arc cutout to create the feet (that's how the Shakers did it), I went with an asymmetric arc to give the impression that the cabinet is light on its feet. 11 in. x 34.25 in. x 44.25 in. 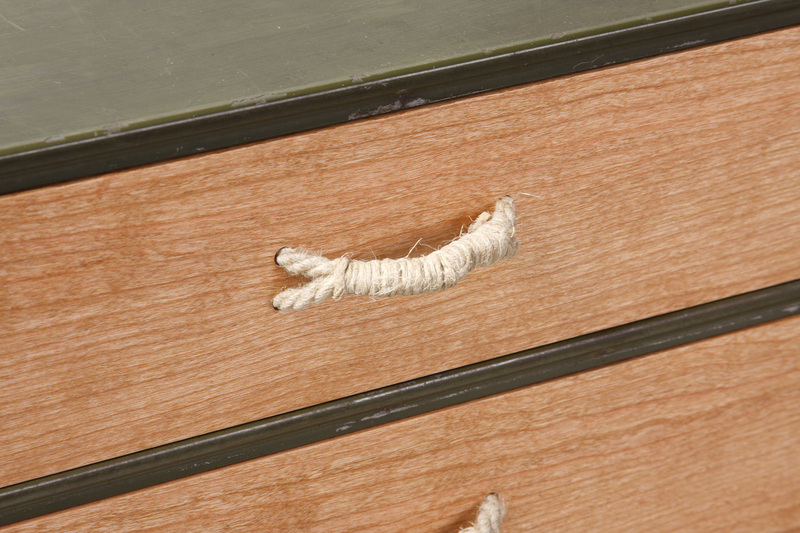 The filing cabinet at the heart of this piece was rescued from a factory in Naugatuck, CT. Sadly, it was missing one of the original drawers, but this also inspired me to fill the middle bank with three wooden drawers. The fronts are cherry, like the base. The drawer pulls are made from hemp rope—a thinner twin wrapped around two thicker strands to create a stout grip for your fingers. The metal cabinet was thoroughly cleaned and then waxed, and none of patina or charm were damaged in the process. The cabinet floats above the base, creating a sense of lightness from two stout components.